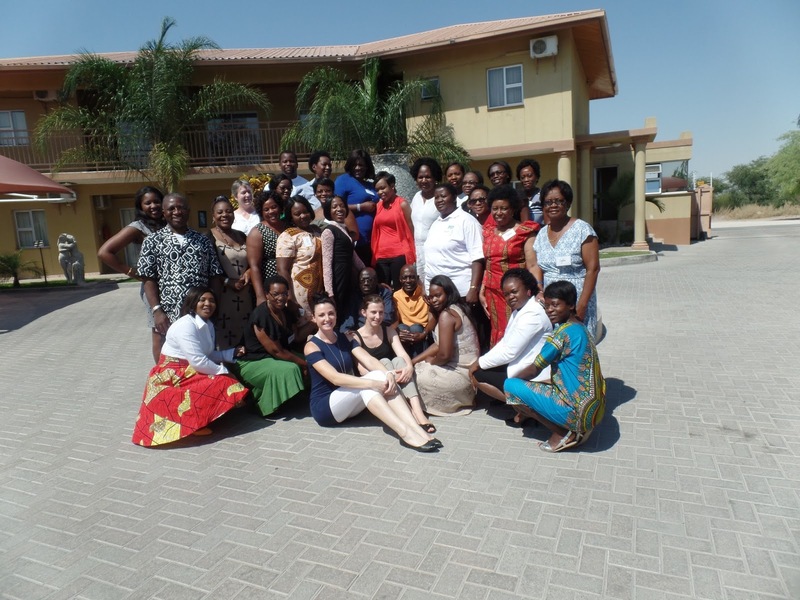 Another hot day in Oshakati! We began with 2 lectures given by Dr Brown and Prof Mbangtang. I asked Penda to give the vote of thanks for Dr Brown. Instead of traditional applause, she asked us all the make clouds with our hands, simulate the rain and then clap as a clap of thunder! It seemed totally appropriate applause in a country that hasn't seen any rain for many months. the importance of the community. He said that in Namibia, when you admit an individual, you admit the whole family. 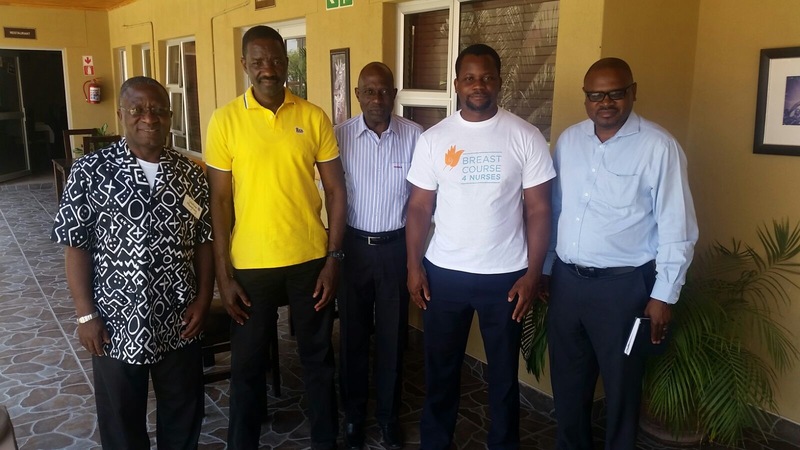 Later in the day, we were honored to have a visit from Dr Haufiku, the Minister of Health. He spoke about the governments's commitment to primary health care. 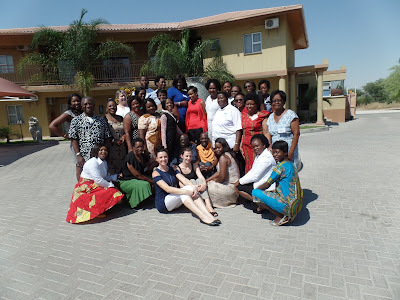 As in many parts of Southern Africa, there are no lymphoedema therapists available to state patients. Sr Lieske discussed the aetiology of lymphoedema and the importance of early management. Prof Celestine Mbangtang ran the palliative care session: there was a lively debate about the role of the pastor in the management of terminally ill patients. There were several points that came out in the discussion. 1. Palliative care starts with listening. It is imperative to identify the needs of the patient before you can start managing them. 2. Communication may be done through the people used to communicating with the patient. 3. Ask the patient about her dreams: they may lead you to identify her fears. In the last session of the day, we had a group of nurses who have committed themselves to running a campaign. We have asked them to tell us all about what they do. They have promised to tell us by March 2016. 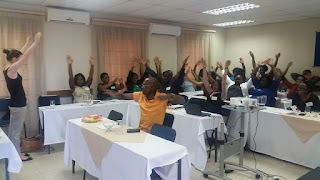 Thank you to Destiny Hotel, UN medical school, the Dept of Health, Novartis, Pathcare and all the students who attended both in Windhoek and Oshakati. Lastly, thank you to Prof Celestine Mbangtang and Sr Lieske for their input.